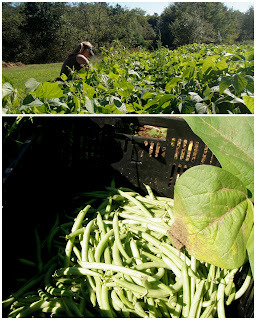 little lambsie divey: Beans, the new green! This week is the final week for the Summer share, and the start of the Fall share... I know, I can't believe it, either! 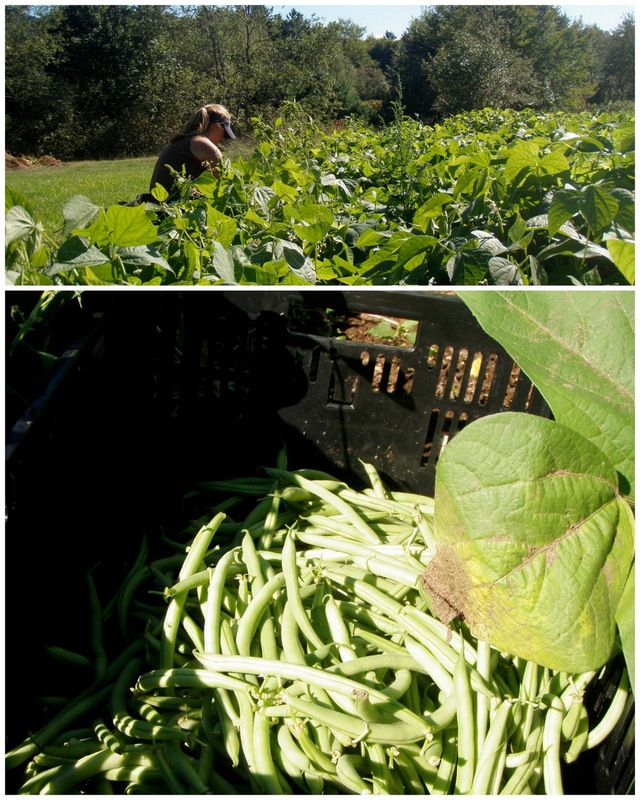 Everything is in full swing: tomatoes, peppers, cucumbers, summer squash, greens galore, and beans! Start by making the dressing. Whisk together the chives, thyme, shallots, lemon juice, heavy cream, salt and pepper. Whisk in the olive oil with a fork, stirring until everything comes together. In the meantime, bring two quarts of water to a boil. Salt generously and stir in the green beans. Cook for about 1 1/2 minutes. Just until the beans brighten up and soften a touch, I go a bit beyond "al dente" here for this salad. Quickly drain them and run under cold water to stop the cooking. In a large bowl toss the green beans with about 1/2 of the almonds, and a big splash of the dressing. Taste, and add more dressing, salt or pepper at this point. Add the tomatoes and toss very gently. You can turn this out onto a platter or plate individually topped with the remaining almonds. week nine is looking fine!